Hal Turner Radio Show - Venezuela Claims Interception of "U.S. Weapons Shipment"
Venezuela Claims Interception of "U.S. 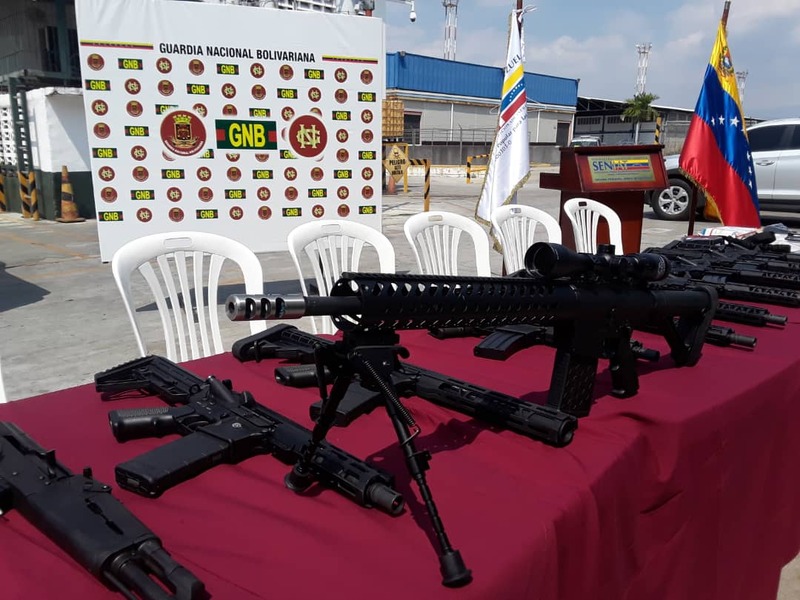 Weapons Shipment"
Authorities in Venezuela claim they intercepted a "US Weapons Shipment" destined for militants, but the size and scope of the shipment is so small as to be indicative of a private citizen sending it, not a government-sponsored shipment. 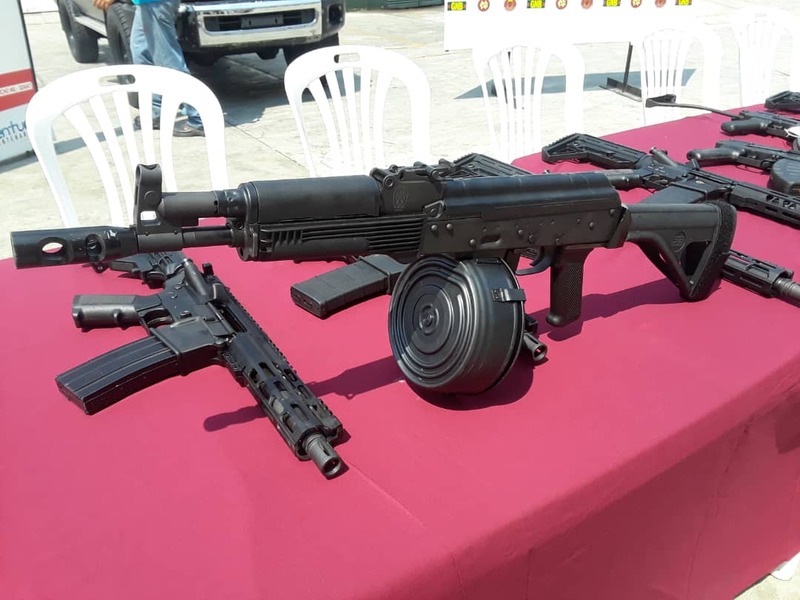 US supplied weapons were discovered at the storage yard of Arturo Michelena International Airport in the Venezuelan city of Valencia, the Interior Ministry of Venezuela said Tuesday. 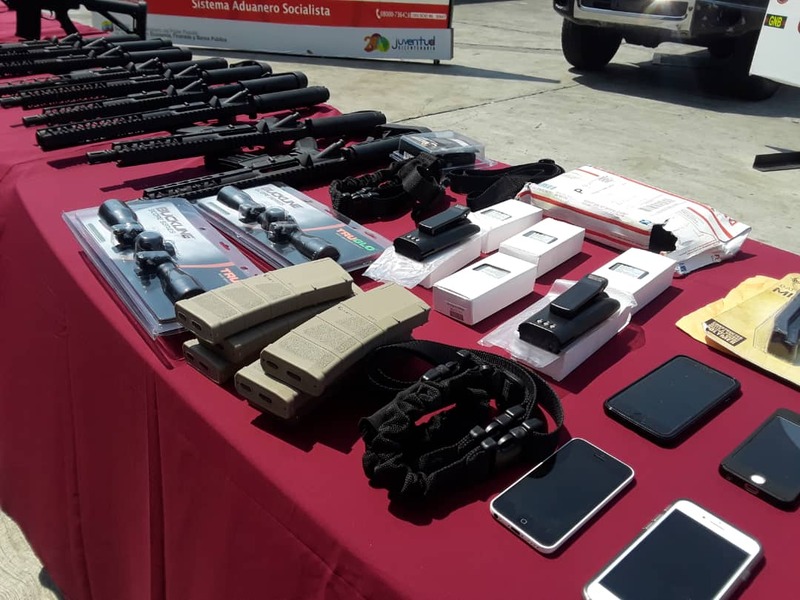 19 rifles and 118 magazines, high-caliber ammunition, as well as 90 radios and six mobile phones were seized after allegedly arriving on a commercial air flight from Miami. According to Pentagon Spokesman Lt. Col. Jamie Davis, the United States government had no part in the shipment. For the record, the Pentagon spokesman said "We are monitoring the situation in Venezuela and stand ready if needed." This reporter commented to the Lt. Col. that - in my view - if the US sent an actual shipment, it wouldn't be 19 rifles, it might be more like 19 OCEAN CONTAINERS FULL OF RIFLES, and both the Lt. Col. and I had a good laugh. On its face, this shipment is so pathetically small that virtually ANY American citizen could have sent it. Americans can buy unlimited quantities of such weapons. While it would violate American law for such citizens to export the weapons, it is certainly too small to involve government. This "news" issued by the socialist cabal in Venezuela seems to be little more than propaganda. But that's just this reporter's view. 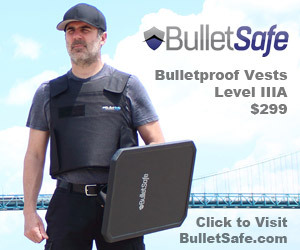 I have seen private gun safes with better equipment than this. And these are hunters and not necessarily preppers. But they might be. Most of the hunters in this area pride themselves in being one shot hunters, and that takes well maintained and good quality equipment. Their stories are interesting if it took two.